God of War Ascension was just released on the Playstation 3 and made me sink into the Greek mythological world paired with over the top action and the sometimes sad..but most of the time testosterone filled story about Kratos losing his family and being angry as usual. Personally i hope for 2-3 years without new God of War games though and would love to see a re-boot of the series or maybe a big spin-off with a different hero. Or something God of War similar but set in the roman Mythology maybe or even the viking one. 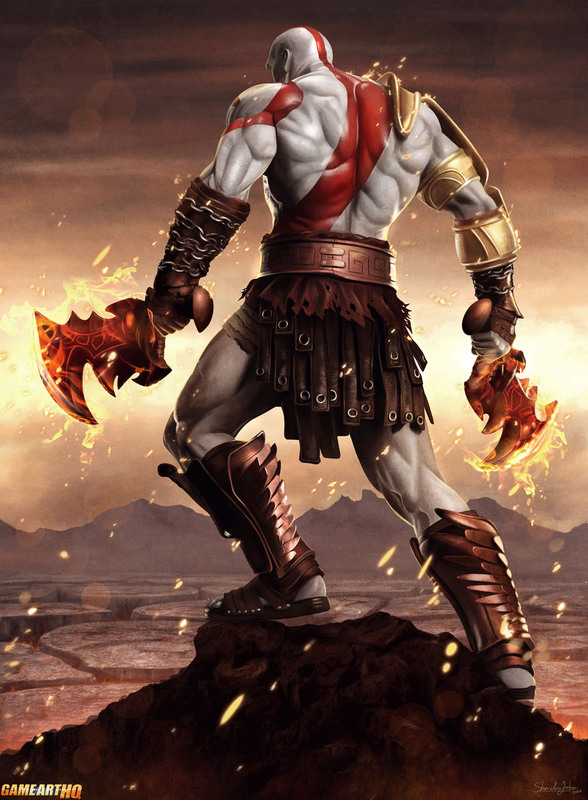 That all mixed with the upcoming Playstation 4 should make an epic series of adventures if done by the GOW developers. If you like Borderlands 2 as much as i do, you will most likely like her illustrations of Handsome Jack and Maya as well.